Like America’s Founders, I like constitutional constraints on government and dislike untrammeled majoritarianism. So my gut instinct is to reject Swiss-style direct democracy as a governing system. Yet I have to give credit to the Swiss people for being very sensible when asked to vote in national referendums. Here are some recent results. And don’t forget they voted by a landslide margin in favor of a spending cap back in 2001. Now they’ve done it again. Voters were asked today to decide whether every adult should automatically receive more than $2,500 per month as part of a guaranteed basic income. Sounds like a nice free lunch, right? That offer might be very attractive in a place like France, but Swiss voters apparently understand that government can’t give all that money to people without first taking that amount of money from people. They rejected Bernie-nomics by an overwhelming margin. 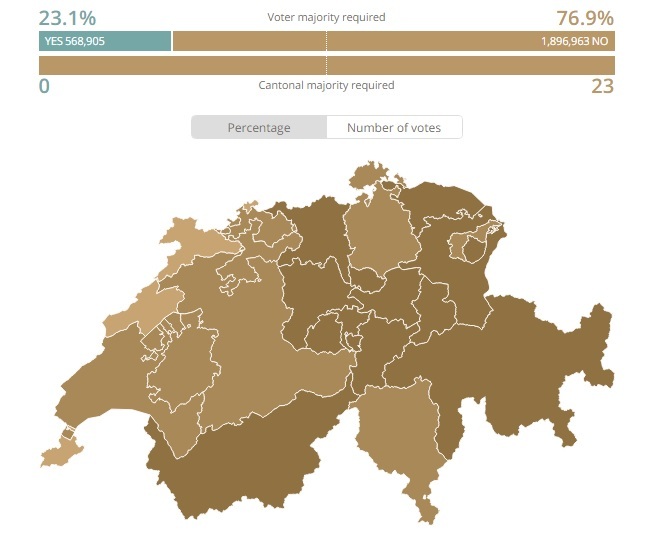 In Switzerland, there don’t appear to be left-wing blue states and right-wing red states. Instead, the entire nation favors limited government. Even the French-speaking parts of the country voted against the scheme. I’d like to take credit for these results. 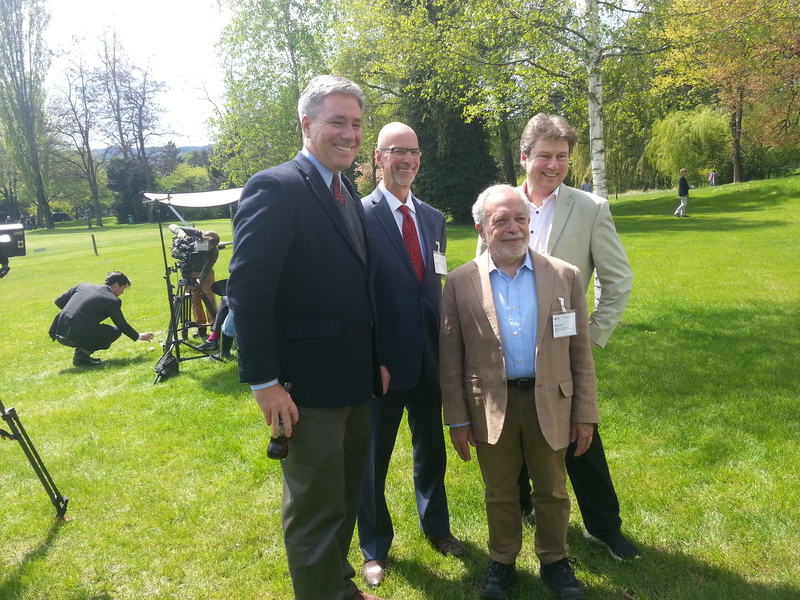 I was in Switzerland early last month to discuss and debate this plan. Here’s what I said (click here to watch the entire panel discussion). In reality, I’m sure my remarks didn’t have any impact on the outcome. Nonetheless, it’s nice to be on the winning side. Though you may have noticed that I said some nice things about a guaranteed basic income in my presentation. That’s because, as I wrote back in 2013, these plans also would get rid of the current dysfunctional welfare state. Writing in the Wall Street Journal a couple of days ago, Charles Murray of the American Enterprise Institute makes the best possible case for an automatic government-provided income. The UBI has brought together odd bedfellows. Its advocates on the left see it as a move toward social justice; its libertarian supporters (like Friedman) see it as the least damaging way for the government to transfer wealth from some citizens to others. Either way, the UBI is an idea whose time has finally come… First, my big caveat: A UBI will do the good things I claim only if it replaces all other transfer payments and the bureaucracies that oversee them. If the guaranteed income is an add-on to the existing system, it will be as destructive as its critics fear. Here are the highlights of Murray’s plan. …the system has to be designed with certain key features. In my version, every American citizen age 21 and older would get a $13,000 annual grant deposited electronically into a bank account in monthly installments. 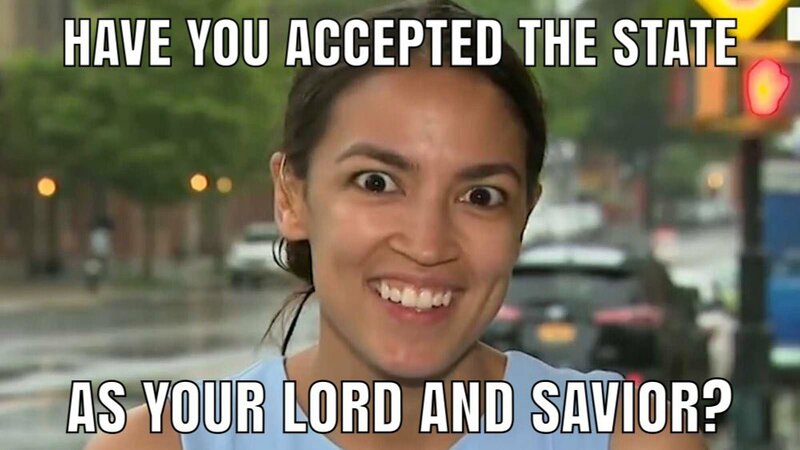 …The UBI is to be financed by getting rid of Social Security, Medicare, Medicaid, food stamps, Supplemental Security Income, housing subsidies, welfare for single women and every other kind of welfare and social-services program, as well as agricultural subsidies and corporate welfare. As of 2014, the annual cost of a UBI would have been about $200 billion cheaper than the current system. By 2020, it would be nearly a trillion dollars cheaper. …Under my UBI plan, the entire bureaucratic apparatus of government social workers would disappear. And while he acknowledges that some people will stop working and live off their handouts, he makes a reasonably persuasive argument that some people will be encouraged to enter the labor force. Under the current system, taking a job makes you ineligible for many welfare benefits or makes them subject to extremely high marginal tax rates. Under my version of the UBI, taking a job is pure profit with no downside until you reach $30,000—at which point you’re bringing home way too much ($40,000 net) to be deterred from work by the imposition of a surtax. Some people who would otherwise work will surely drop out of the labor force under the UBI, but others who are now on welfare or disability will enter the labor force. Sounds good, but then consider all the leftists who support a basic income scheme and imagine how such a system would work if they were in charge. That’s what worries me. If Charles Murray was economic czar and there was never a risk of his plan being modified, I’d be sorely tempted to say yes. But that’s not a plausible scenario. In the real world, a guaranteed basic income might start small and the current welfare state might be curtailed as part of the original deal, but I would be very worried about subsequent reforms that would expand the size of the handout (much as the EITC has been expanded in America) and reinstate misguided redistribution programs. Perhaps this is why, in a column for the Financial Times, John Kay is not very sanguine about the numbers. Bernie Sanders, a candidate for the Democratic presidential nomination, has expressed sympathy for basic income while stopping short of endorsement. Yanis Varoufakis, the former finance minister of Greece, is a proponent. …Yet simple arithmetic shows why these schemes cannot work. Decide what proportion of average income per head would be appropriate for basic income. Thirty per cent seems mean; perhaps 50 per cent is more reasonable? The figure you write down is the share of national income that would be absorbed by public expenditure on basic income. The Swiss government reckoned spending on social welfare would approximately double. To see the average tax rate implied, add the share of national income taken by other public sector activities — education, health, defence and transport. Either the basic income is impossibly low, or the expenditure on it is impossibly high. P.S. On a separate topic, the death of Mohamed Ali, the larger-than-life superstar boxer, has generated a lot of reminiscing. 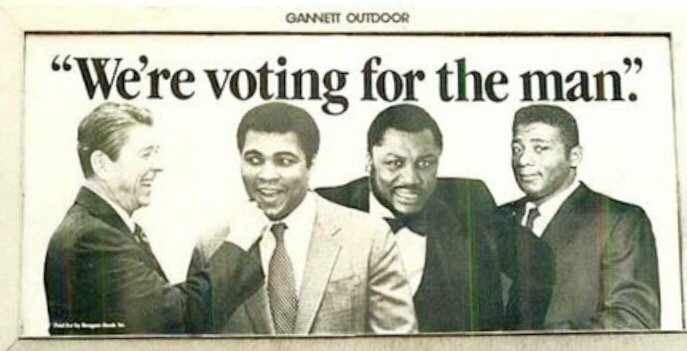 Well, courtesy of Mike Flynn, here’s my favorite Ali historical flashback. P.P.S. Speaking of athletic superstars (at least in our fantasies), the Beltway Bandits finally prevailed in a 2016 softball tournament. 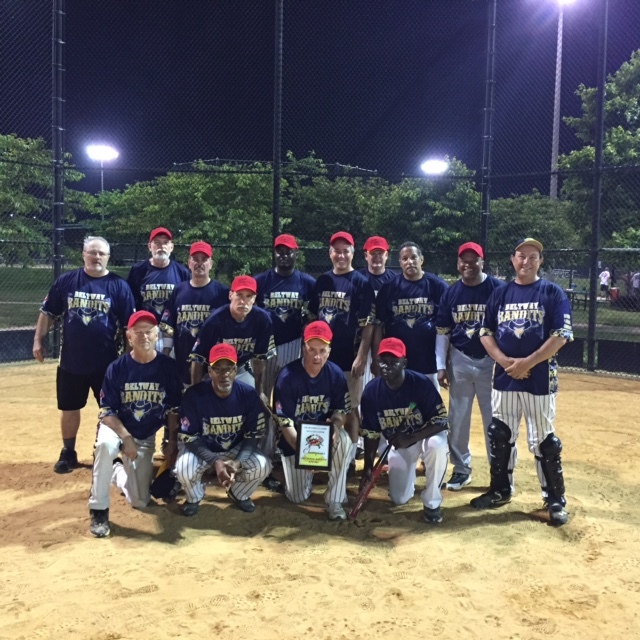 Here’s our team photo after winning the Crabtown Classic. P.P.S. Returning to the main topic of today’s column, here’s an amusing cartoon strip on the notion of a basic income. It’s from the same person who put together the “magic boats” cartoon strip about the minimum wage. One of the more interesting policy debates, both in America and around the world, is whether convoluted and counterproductive welfare states should be scrapped and replaced with a “basic income” payment from the government. Finland is experimenting with the concept. Authorities in Finland are considering giving every citizen a tax-free payout of €800 (£576) each month. Under proposals being draw up by the Finnish Social Insurance Institution (Kela), this national basic income would replace all other benefit payments, and would be paid to all adults regardless of whether or not they receive any other income. …the basic income is intended to encourage more people back to work. At present, many unemployed people would be worse off if they took on low-paid temporary jobs due to loss of welfare payments. This idea has been, or will be, tried in a few places. …previous experiments where a basic income has been successfully trialed. The Canadian town of Dauphin experimented with a basic income guarantee in the 1970s and the results – both social and economic – were largely positive. …The Dutch city of Utrecht is also planning to introduce a basic income, albeit solely for welfare recipients. From next month more than 250 unemployed residents of the city will be given a monthly sum to live on, with researchers monitoring the outcome to determine what effect it has on employment. In a column for City Journal, Guy Sorman has a positive assessment of the Finnish plan. 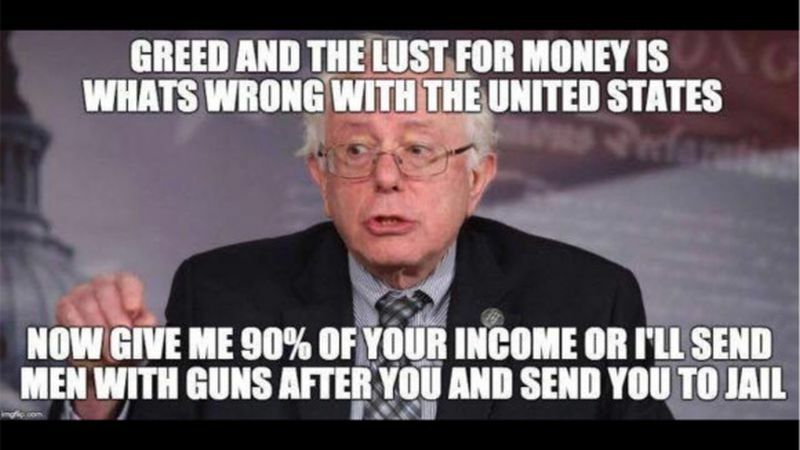 …each citizen will be free to use the money as he or she sees fit. The idea is that people are responsible for their actions. If someone decides to spend their €800 on vodka, that is their decision, and has nothing to do with the government. In return for the UBI, however, the public accepts the elimination of most welfare services. Currently, the Finnish government offers a variety of income-based assistance programs for everything from housing to children’s education to property insulation. Axing these programs should free up enough public resources to finance the UBI. The bureaucracy that currently governs welfare payments will disappear. …The Left is cheered by the socialistic idea of government-assistance-for-all. The Right looks forward to the unprecedented drop in bureaucratic control over citizens… The Finnish government is expecting the negative income tax to have a beneficial effect on employment and growth. Though apparently the scheme will have a limited rollout. Finland’s trial of a basic income model is set to start in 2017 and will involve a payment of 550 euros to those selected to participate. And those selected will be a limited group. …the full, unconditional basic income proposal would be too expensive. Instead the trial will target people already in receipt of benefits and offer a basic income at the same level to replace them. …People would then be able to take on new work without losing their social security payments, which could remove one of the disincentives to employment. People with income-linked unemployment benefits, which are higher than the state-provided basic unemployment benefit, would continue to receive them. …The trial will focus on individuals aged 25 to 63 with low incomes as that group will provide the best data on whether or not the basic income increases employment. Here’s more reporting about the potential Dutch experiment. …in Utrecht, one of the largest cities in the Netherlands, and 19 other Dutch municipalities, a tentative step… “We don’t call it a basic income in Utrecht because people have an idea about it – that it is just free money and people will sit at home and watch TV,” said Heleen de Boer, a Green councillor in that city, which is half an hour south of Amsterdam. Nevertheless, the municipalities are, in the words of de Boer, taking a “small step” towards a basic income for all by allowing small groups of benefit claimants to be paid £660 a month – and keep any earnings they make from work on top of that. Their monthly pay will not be means-tested. They will instead have the security of that cash every month, and the option to decide whether they want to add to that by finding work. …The motivation behind the experiment in Utrecht, according to Nienke Horst, a senior policy adviser to the municipality’s Liberal Democrat leadership, is for claimants to avoid the “poverty trap” – the fact that if they earn, they will lose benefits, and potentially be worse off. The concept is also gaining traction in New Zealand. Leader of the opposition Andrew Little said his Labour party was considering the idea as part of proposals to combat the “possibility of higher structural unemployment”. …Mr Little confirmed his party would debate the idea at its conference on employment at the end of March. He said significant changes to way people worked were “unavoidable” and “we expect that in the future world of work there will be at least a portion of the workforce that will rapidly move in and out of work”. You’ll have noticed that some of the arguments for basic income seem very reasonable. Improve incentives to work and reduce bureaucracy. Indeed, this is why the idea has support among some sensible people. I cited some of them in my article back in 2013, but there are several more. Sam Bowman explains his support for the concept in a column for the London-based Adam Smith Institute. For me, it’s about improving the capitalism we already have. …it would be an improvement, for three main reasons. Our existing welfare system is designed for a world where finding a job would be enough to give most people a tolerable standard of living. But in-work poverty is an increasing problem…a basic income would reorient the whole system towards helping people who don’t have enough money, irrespective of why that is. His second reason is that it would be good to streamline the welfare state. Our existing welfare system has built up a large amount of unnecessary complexity that could be streamlined. …benefits are fundamentally about giving money to people who do not have enough of it. Housing benefit, the pension credit, jobseeker’s allowance, income support and tax credits all do this. …Reducing complexity is valuable but not the only, or indeed the main, appeal of the basic income. And his third reason is that a basic income could be matched with other reforms that would boost economic performance. Many other policies that would increase total wealth are not very progressive…doing these things ends up making lower earners pay more tax than we would like. …An easy way to correct that would be to redistribute the overall wealth gain to those poor natives so that they too are made better off in the short run as well as the long run. Writing for National Review, Iain Murray adds his sympathetic analysis. Anyone who wants some creature comforts, which most of poor do…would be encouraged to work rather than the reverse. …Most people will use money to make their lives better. Indeed, there is some evidence that most poor people suddenly presented with what amounts to capital will become capitalists. This is surely a good thing. …The lack of a welfare bureaucracy will also encourage charity and mutual aid for the really hard cases. …unless we were to find some way of exempting this from the political process, politicians would…turn it into a UBI plus extra, targeted, welfare system. …it still relies on robbing Peter to pay Paul, even if Peter gets some of the money back. Now let’s shift back from theory to the real world. Switzerland is poised to vote early next month on a referendum that would provide a rather generous government-guaranteed income every month. Switzerland will become the first country in the world to vote on the introduction of unconditional income at the national level. But it has not won much support from traditional politicians, even those on the left. …The federal government estimates the cost of the proposal at 208 billion francs a year. Around 153 billion taxes would have to be levied from taxes, while 55 billion francs would be transferred from social insurance and social assistance spending. Which may explain why it appears the traditionally sensible Swiss voters almost certainly will vote against the scheme by an overwhelming margin. Seventy-two percent were against establishing the unconditional stipend, which the initiators say would “enable the entire population have a decent existence and participate in public life,” the survey found. Just 24 percent support it, while 4 percent were still undecided, had voting been conducted this month. “Support for the ‘no’-camp is expected to increase as the campaign progresses,” pollster gfs.bern said in its survey for broadcaster SRG published on Friday. “This indicates a clear rejection on the day of the ballot.” The basic income vote will take place on June 5. For what it’s worth, I’m at a conference in Switzerland, where I spoke earlier today on this topic as part of a panel that included my colleague Michael Tanner, along with former Labor Secretary Robert Reich and Swiss Professor Reiner Eichenberger. I urged the audience to oppose the referendum because of what I called a nope-hope-dope argument. The “nope” part is my rejection of the belief on the left that technology will destroy jobs. We’ve had major changes in the economy, leading first to big losses in agricultural jobs and then significant losses in manufacturing jobs. But those changes didn’t lead to less employment. Instead, those jobs were lost as part of changes that made all of us much wealthier. So while I have no idea what will happen in the future, I have considerable faith that market forces will create productive options for people. The “hope” part is my admiration of the private initiatives that are taking place and my semi-support for the local experiments that are taking place. I want poor people to have more money and I want them to have hope. And these experiments by private charities and local governments may teach us useful things that help us reform the very inefficient welfare states operated by central governments. And the “dope” part of my presentation was my description of the people who think that we would get good results with a basic income scheme operated by central governments. Simply stated, I fear that such a proposal would be too generous, thus reducing over time incentives to work (perfectly captured by this Wizard-of-Id parody). I also fear it would require economically destructive tax rates, either explicitly to fund a basic income for everyone, or implicitly because it would be phased out like the EITC and therefore drive a larger wedge between pre-tax income and post-tax consumption for a huge number of taxpayers. Here, for posterity, is a photo of the panelists. I did mention, by the way, that it would be very interesting to see an individual Swiss canton conduct an experiment, replacing all current redistribution schemes with a basic income. And since the supporters of the referendum tweeted that statement, I’ll interpret that as a sign that I’m a consensus builder! But I have to confess that the organizers of the conference probably should have cast me aside and instead invited Professor David Henderson of the Naval Postgraduate School. In a new article for the Independent Institute, he looks the real-world numbers for the United States and throws very cold water on the idea of the basic income guarantee. Here’s an excerpt of his calculation of the fiscal cost of such a scheme. The annual BIG expenditure for U.S. citizens, then, would be approximately $2.068 trillion. This expenditure estimate does not include any expenditure for administering the program or for monitoring for fraud. In other words, it is a minimum estimate. …Assume, as Zwolinski advocates, that such a program would displace all 126 federal antipoverty programs and all state and local government antipoverty programs. …Notice what would happen. A $2.068 trillion program would replace programs whose total expenditures in 2012 were $952 billion. Even rounding up the $952 billion to $1 trillion, the program that Zwolinski advocates is more than twice as costly in budgetary terms as current antipoverty programs. …How would Zwolinski fund this major increase in federal spending? …he would need to have the federal government increase taxes from their estimated $2.993 trillion to $4.361 trillion, an increase of 45.7 percent. Those fiscal costs could be reduced with a clawback mechanism (i.e., means testing the basic income grant), but that would require very high implicit marginal tax rates. Zwolinski suggests a way around the huge tax increases that I have laid out: the way proposed by Charles Murray in his book In Our Hands: A Plan to Replace the Welfare State (2006). That method is to tax $5,000 of the $10,000 grant with a 20-percentage-point increase in the marginal tax rate on people who make $25,000 or more. At the $50,000 income level, $5,000 of the grant would be paid back. This method does reduce the amount of other taxation required, but, of course, it increases marginal tax rates over a range of incomes by 20 percentage points. …This increase would be a substantial disincentive to work and a substantial incentive to make money in the underground economy. And he also cites what I fear would be an enormous problem, which is that we couldn’t trust politicians to keep the basic income grant at a modest level, and we also couldn’t trust them to permanently eliminate other redistribution problems. …there is another major problem: the “public-choice” problem. …those who advocate further government programs…must show that there is a high probability that such government programs will not grow further. …in the case of a BIG, they must show that there is a high probability that a scaled-down BIG really would replace all of the existing programs for the poor and near poor. This is hard to do because the various interest groups that favor the existing programs will not sit back: they will fight to keep some or all of those programs. Zwolinski…writes that if the BIG “were implemented via a constitutional amendment, many of the public choice considerations could be reduced, I think, to an acceptable level.”11 Yet, as Randy Barnett (2004) and Robert Levy and William Mellor (2008) show, even strict constitutional limits on federal government power have yielded to the U.S. president, Congress, and the courts. Think of this as presenting the same challenge presented by a national sales tax or value-added tax. There are good arguments for those proposals, but the most powerful objection is that politicians can’t be trusted to permanently eliminate or reduce existing income taxes. So if a basic income isn’t the answer, what should we do? 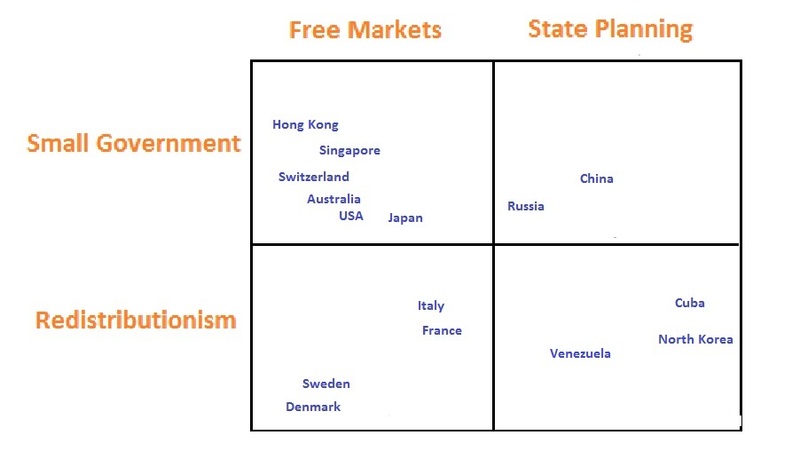 I agree with the scholars from the Austrian School that decentralization is the right approach. We already did that for basic welfare payments during the Clinton years, and we should do it for all other forms of income redistribution, perhaps starting with food stamps and Medicaid.